Service & Support - Structured Cabling Raised Flooring Control Systems Maryland | Smart Space Solutions, Inc.
Smart Space Solutions, Inc. is dedicated to providing the highest level of support and maintenance for all of our products and services. Smart Space Solutions incorporates a set of quality control guidelines into each of our projects. These guidelines assure our customers of our quality control process and our control of the installation process. We shall monitor quality control over suppliers, manufacturers, products, services, site conditions, and workmanship to produce Work of a specified quality. We comply with manufacturers’ instructions, including each step in sequence. Should manufacturers’ instructions conflict with this Scope of Work, we will advise the customer of our recommendation for resolution, but will proceed according to the customer’s wishes. We comply with specified standards as a minimum quality for the work except when more stringent tolerances, codes, or specified requirements indicate higher standards or more precise workmanship. Work will be performed by persons qualified to produce workmanship of a specified quality. We will secure products in place with positive anchorage devices designed to withstand stress, vibration, physical distortion or disfigurement. If conditions permit, we will require product suppliers or manufacturers to provide qualified staff personnel to observe site conditions, conditions of surfaces and installation, quality of workmanship, start-up of equipment as applicable, and to initiate instructions when necessary. Smart Space Solutions, Inc. offers infrastructure cabling support after normal business hours. All of our technicians and maintenance personnel are factory trained to provide proper and efficient maintenance and service per factory specifications. SSS has RCDDs on staff to assure standards compliance. We have a complete array of cabling and network solutions, to manage the voice/data/video needs of your organizations. Smart Space Solutions, Inc. is dedicated to quality project management. We recognize that a key aspect to the success of any project, regardless of size, is a qualified project manager. 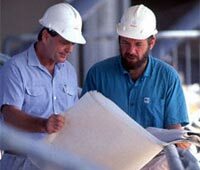 Our project managers have over 40 years of combined experience.